This week, I decided to join the 52 Weeks to Better Genealogy challenges. 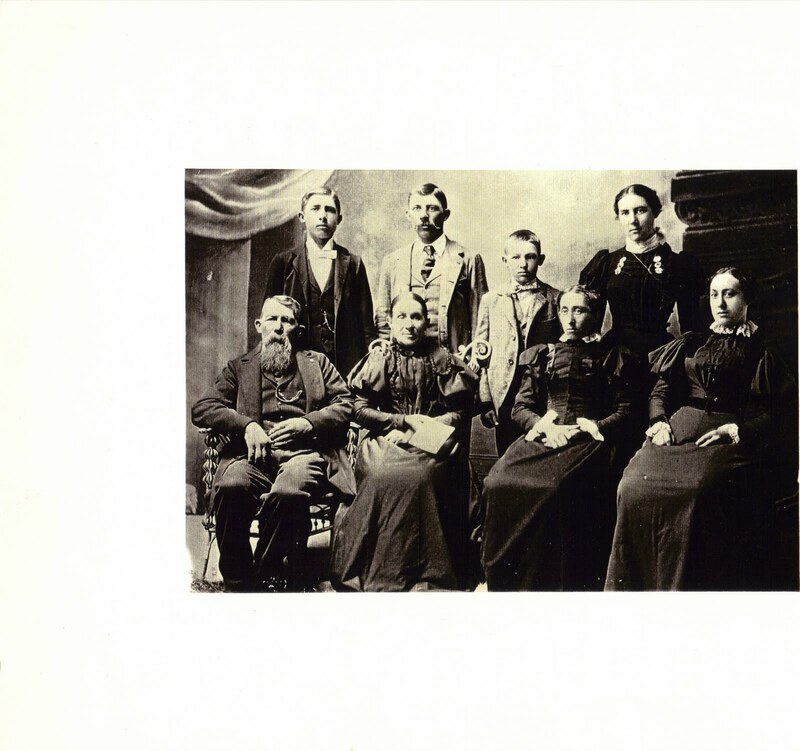 This weeks challengs is to research ways to give back to the genealogy community. In researching, I found that there were lots of things I could do from the comfort of my home and pjs and computer. So I joined the FamilySearch indexers and have been working on indexing the 1930 census for Louisiana. I have a goal of 1000 names a month and I've done 153 so far this week. It’s the History of Chickasaw and Howard Counties, Iowa, Volume 2 by Robert Herd Fairbairn. And there is a section for my third great grandfather who married the Hannemann daughter. It talks about how in his first Presidential election, he voted for Abraham Lincoln even though he’s a democrat. He was a saloon owner, but wouldn’t take money from those who he knew needed it for their families. It lists the farms he owned and the sections of them. Fifth great grandpa, Jadocus Henrich Hannemann (on the Konst side) was the first gravedigger of Osterwick, Germany. The old graveyard was at the church and full, so on 7 Aug 1808, the priest blessed the new graveyard outside of Osterwick near Elsen (a street in Osterwick). Grandpa Hanneman dug those graves for 22 years, but on 6 Mar 1831, poor Grandpa was fired. Turns out that he had been re-selling the iron fixtures from the caskets over and over again, removing them after each burial. He went to prison for 14 days. Today I’m going to talk about my Conner family. Not the offshoots and other surnames- just Conner. Before I jump the pond, I want to figure out everything they were doing here. I know some. But I also know there are some holes to fill in and I wonder if assumptions have been made, so I’m starting from scratch. This is the first line I started with and I may have taken some things at face value. I’ll start with the first two, as I actually knew the rest and have a lot of records on them. These first two, I mostly have stories and census info. Not much else. William Conner. William was born in Scotland and immigrated to Iowa in 1880 and died in 1885 in What Cheer, Iowa. This is not where his son Thomas was at the time. For Follow-up: Son’s birth record to prove William as father. Find him in Scotland. Find his immigration records/ship list. Find death record/burial. Find what he was doing in What Cheer. Find other children. Find marriage info. Thomas Conner. Thomas was born 22 June 1842 in Scotland and married to Janet Mason on 04 Oct 1861 in Barony, Lanarkshire, Scotland. Since his son said that he came to the US in 1872 when he was 6 months old, we assume that Thomas and Janet came at that same time. We do know that in 1880, he was in the Cass, Wapello, Iowa census. We were told that he was naturalized and that he worked in a coal mine (not sure if in Scotland or US) and was Presbyterian. He died 4 May 1920 in Madrid, Boone, Iowa. For Follow-up: Birth records for him and Janet. Marriage records. Immigration and naturalization records. What was he doing in Cass? What coal mines- Scotland or US? Check Presbyterian records and historical info. Death records. So these will be my searching for the next week or so. My Google class with Lisa Louise Cooke is today, so Grandpa Conners will be my guinea pigs. One of my first steps in genealogy was to post a note in the Rootsweb Lucas County, Iowa email list about my great, great grandfather who had lived in Russell, Iowa for many years (William Mason Conner). His wife, Harriet Price, also lived there. One of the members of that list (no relation) sent my note to someone at the Lucas County Genealogical Society (no relation) who went through every paper and printed off every single article and obituary for every single Conner and Price in Lucas County. She also gave my request for information to the editor of the newsletter (no relation) who posted it in the newsletter. A member of the society (no relation) was neighbors with someone from the Price family and gave them my address. I then received a wealth of information including pictures. One picture is from when my grandfather in 1935 visited his grandfather. They’d kept this picture in the box, as it said, “Cousin Pierre”. This ALL cost me an email and $5 to join the society. Talk about TREASURE. I am getting extremly excited for the Google All the Way seminar with Lisa Louise Cooke on Saturday! I plan on taking lots of notes and then hopefully take Monday off to stay home and play with what I learned. 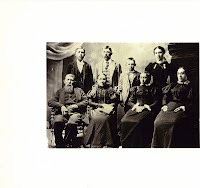 (it's through the California Genealogical Society- http://www.californiaancestors.org/). Lisa Louise Cooke has a podcast that I love. I listen to it in the car while driving here, there and everywhere. There is a link under Podcasts I like (she actually has two there) and it's linked here, too. Check it out! 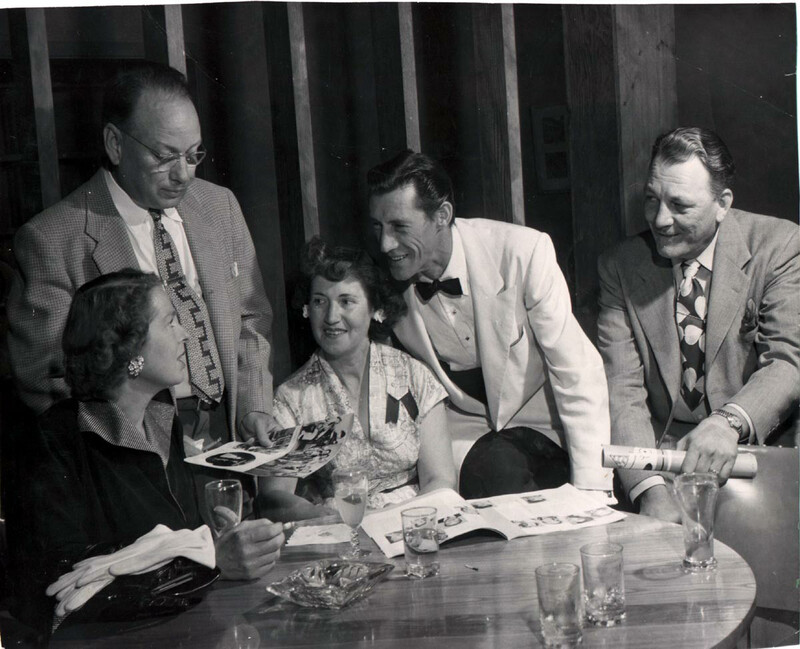 My grandparents with John Carradine. Everyone is looking at my beautiful Nana (Ethyl Maxine Shelton Badgley Stonacker). My grandfather and his brother owned a print shop and made the programs and invites for the Oscars or Emmys (I forget which!). They were invited and the above picture was taken. The funny thing about this picture today is that I chose this on Monday for today’s post. I wrote it up and saved it in Word, as I knew I was going to be out of town yesterday and may not have time. This morning there was an email from a new family member asking for a copy of this very picture- BEFORE I posted to my blog. Teaser Tuesdays will be all about those ancestors that tease us with particular points of information that we know is important, but we can’t figure out. · He was 20 years older than Myra Belle (Nana’s mom). · Owned shop with her- stitching and sewing. · Very strict-(beat his sons with a razor strap). · Belonged to Episcopalian Church. · Life of the party. · Had another family prior (wife- Veronica, 2 sons and daughter Fern); only told Myra about Fern; 2 sons went to orphanage and he had a housekeeper to raise Fern. When they married, Myra and Charles raised Fern and own children; Myra found out about 2 boys when she went to visit Charles' grave and asked who was keeping it up. Was then told about the 2 sons. 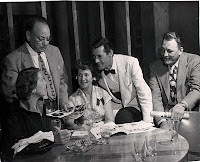 · Very jealous- took Nana and Myra to a dance and he got mad because his wife was dancing with other men, he took her over his knee and spanked her, Nana got so upset that she hit him over the head with a book. · Dark hair, deep-set blue eyes, 5'9" muscular. · Climbed poles GW Power Co. (PGE). lineman then boss. So that was the extent of knowledge of him. Internet searches gave me his date of death and so I ordered his death certificate. On that, I found listed that his dad was John Shelton and his mom was Laura E. Wilkison. I did low hanging fruit searches on those names through the years and found nothing, moving on to other items. I finally went back to it over and over again and the census records were just not working. I found a John and Laura were in the 1870 census with “Coney E Shelton, age 2” and “John P. Shelton, age 2 months”. It was the ONLY John and Laura Shelton in Indiana with the right aged child, but how could CONEY be short for CHARLES? And Nana said the her uncle was COSTA, not John. The 1880 census gave me a Costa Shelton, living in a Thomas Morton household as “stepson”. Laura was the mother. So for years I looked for death records of John Shelton on and off, of course. One day poking around the Fort Wayne website, I found a database for divorces from 1872. Just for fun, I checked. Yep. Divorced. Assuming gets you no where fast. Anyway, then I decided to really delve in and the rest came to me. Searching the Fort Wayne newspapers I found Laura’s family all listed. And a reference to son Cora. A son named Cora? I searched that and found Cora E. Shelton living with his father in Missouri. His father John. It’s the grave of Laura E. Wilkinson Shelton Morton in Old Huntertown Cemetery in Allen County, Indiana. As I searched my Family Tree Maker database this morning, I realized that I’ve been inconsistent and bad in my logging of location names. Some are spelled out, some are abbreviated and some only have part of the place name with no blanks for what’s still needed. Therefore, searching for people in Oregon is difficult. I can’t search “OR” as it brings up anyone in any place with “OR” in the name. I can’t search “OREGON” because I rarely listed it as such. Sometimes I take trips and it would be great to be able to map the areas before I go so that I could see if I could hook up with any dead relatives while there. I’ve never been able to do this, since it’s always such a chore. So any words of advice other than fixing them one-by-one? Dad! And Dad, you’ll be happy to know that your entry now features the correct listing of your city, county, state and country. I have a third cousin who was born in Malheur County. She was the 2nd great granddaughter of Clem Konst. Hattie Helen Thomas was also born and died somewhere in Oregon. She was married to the brother inlaw of my 2nd great grand uncle, John Connor. He changed his name to ConnOr. John was the brother of William Mason Conner from Iowa. John is important because he connected me to Mark, a cousin from Iowa who I’ve learned so much from through the years. Looking forward to any tips and tricks for fixing my mess of place names in Family Tree Maker! Thanks and have a happy week! When I found my grandmother's grandparents, who she knew nothing about, I felt like I'd run a marathon. And won. At that time, I tried to share with others how it made me feel to find them, but unless a person is also interested in family history, it's a bit difficult for them to understand the ephoria. So I thought then about a genealogy blog, but had no idea that it was a real thing. I didn't even Google for it, thinking it was silly. And then I went to the California Family History Expo and learned there are hundreds of you. And I want in on the club. The lines I'm studying are numerous and switch around all the time. That's my favorite part of genealogy- you get bored of one person and you move on and can go back whenever you want. I'm playing with the idea of daily themes, so we'll try that out tomorrow with Mapping Monday, where I will pick a State.